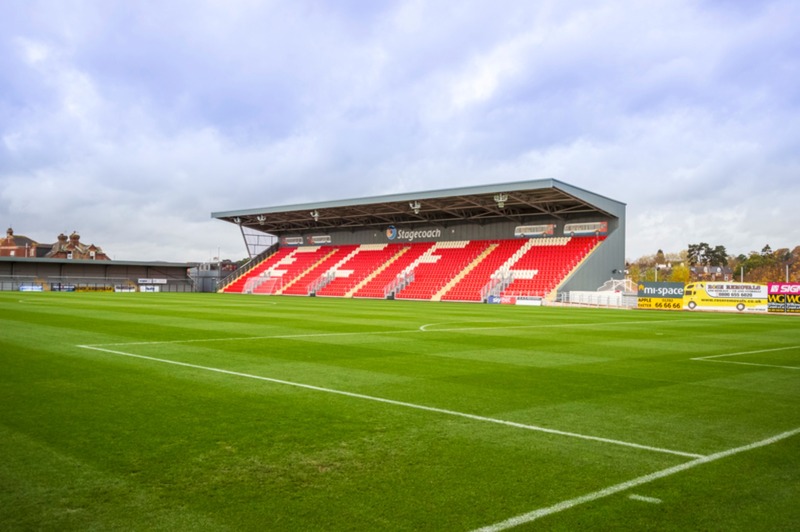 In the latest industry interview, Jon Dutton, Chief Executive at Rugby League World Cup 2021, shares his experiences and insights with Sports Venue Business CEO, Katie McIntyre. Jon, can you start off by telling us a little bit about your career journey thus far, including career highlights to date? I always wanted to be a professional Rugby League player but at college realised I was not good enough or brave enough! I graduated with a degree in Sports Management and was fortunate to be offered a role working on the European Golf Tour as my first full time job. I spent around six years travelling the world with the highlight being working at the 1997 Ryder Cup in Valderrama with a very young Tiger Woods debuting. I went onto be the CEO of Manchester FA, which included a secondment to UEFA for the 2003 Champions League Final at Old Trafford. I then set up a company with a business partner and enjoyed time building a business and working for myself. In 2011, I was offered a role working on the 2013 Rugby League World Cup and it was a dream come true for a passionate Rugby League fan. It was a very special time working with a small and incredibly talented team. After that, I worked for the RFL as Director of Projects & People, which included a secondment to the 2014 Tour de France Grand Depart as Director of Readiness. I started my full time role as CEO of the 2021 [Rugby League] World Cup in February, having also worked as the International Federation Tournament Commissioner at the 2017 World Cup. 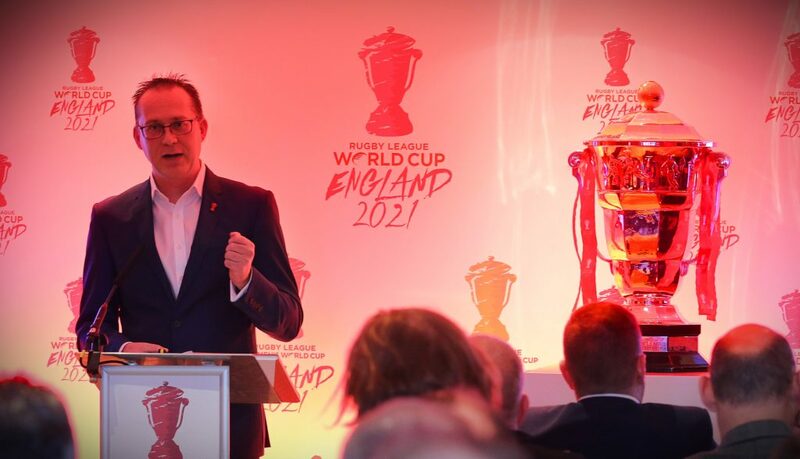 As Chief Executive Officer at the Rugby League World Cup 2021 (RLWC21), what are your main challenges and objectives for the next 4 years? Quite simply, to deliver the biggest and best ever Rugby World Cup. We must transcend the sport in attracting a new audience. 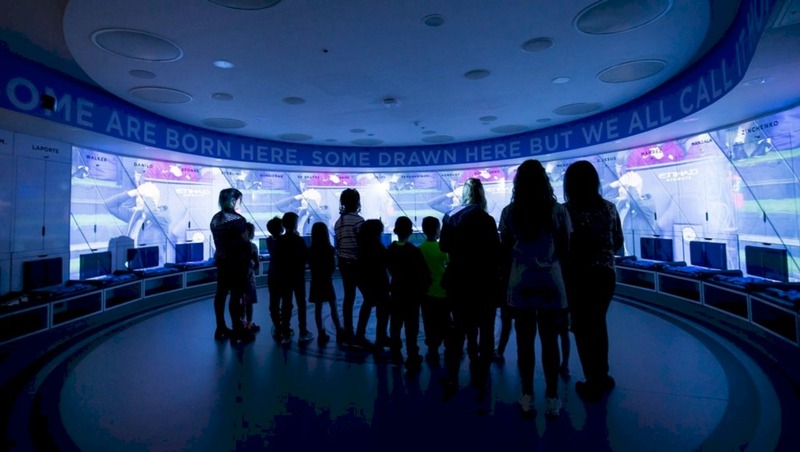 This is the single biggest project the sport has attempted in the UK in its 123 year history and it’s got to be delivered as a sports and entertainment project embracing contemporary digital methods to engage with people. How people are consuming sport and entertainment are changing before our eyes and we must meet this challenge head on. Having been Operations Director for Rugby League World Cup 2013, RLIF Tournament Commissioner for the 2017 Rugby League World Cup in Australia, New Zealand and Papua New Guinea, Director of Readiness for the Tour de France Grand Depart in 2014 and Tournament Director for the Ladbrokes Four Nations tournament in 2016, how have these previous roles informed what you’re doing at RLWC21? It’s always good to learn lessons and apply those with a new project. Along with learning from my own direct experience, we have a huge appetite to learn from other events. In the last month, myself and my team have attended the Rugby World 7s in San Francisco, Women’s Hockey World Cup in London, European Games in Glasgow and Boccia World Championship in Liverpool with the objective of observing and taking away some knowledge transfer. Starting early, having government support, managing risk, building a dynamic team with a great culture and making every day count are my takeaways so far. The mission statement of the RLWC21 is “To deliver the biggest and best ever Rugby League World Cup, creating inspirational moments that excite, engage and leave a lasting legacy”. Can you provide insights as to how you will deliver on this? We have started early, my journey on this project began in 2015. We have secured some significant government support, we have won the bid and set the company up. This has laid the foundations for the journey ahead. 2018 and 2019 are very much focused on building upon this work and really focusing on selecting our host venues, commencing our commercial and partnerships programme and beginning to deliver the legacy. Our ‘Inspired by RLWC2021’ legacy programme offers a fantastic opportunity for us to engage in different ways with different communities and it is something I am particularly excited about. We also are staging the men’s, women’s and wheelchair tournaments together for the first time. In doing so we really want to raise the profile of the women’s and wheelchair game. We have two outstanding ambassadors in James Simpson who is a member of the England wheelchair team and is truly inspirational and Jodie Cunningham who plays for the England women’s team. We want to tell both of their stories and in doing so hope to inspire people to find out more and get involved. The host bid process closed at the end of July, with the successful hosts to be announced in January ’19. Can you provide some insights as to what key requirements you look for from potential host venues? A partnership. We have been blown away by the level of interest and I have spent many months trying to get out and see as many of the key decision makers in the aspirant host towns and cities as possible. What has come through very strongly is civic pride and place and this is very much integral to the bids that we have received. The decision making is going to be very tough as we are oversubscribed not just with quantity but also with quality. We want to announce our host venues in January 2019 so that gives us a significant period of time to work with local communities and engage, excite and stimulate people ahead of the tournament. Our legacy programme will play a huge part in this. 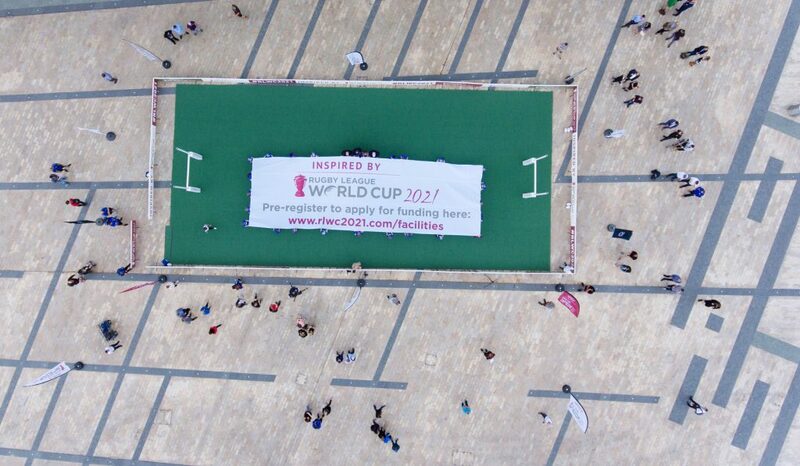 Finally, can you tell us what role technology will play at the RLWC21? Very significant. We must use digital means to engage with people. So first of all, we are taking a very scientific approach and investing in insight. To attract a new audience, we need to understand what will motivate people to engage with us. The sport undertook a significant market segmentation exercise and we are building on this in identifying the segments that we believe we should target. We are talking to a number of digital agencies at the moment and some of their ideas will position us as disruptors and challengers, and will move us into a different space. We are also at an embryonic stage of trying to create a technology ecosystem and will invest in ‘digital’ to help us deliver a world-class fan experience both pre-, during and after the tournament. We need to do some future gazing so that whatever we choose to invest is still contemporary in Autumn 2021. 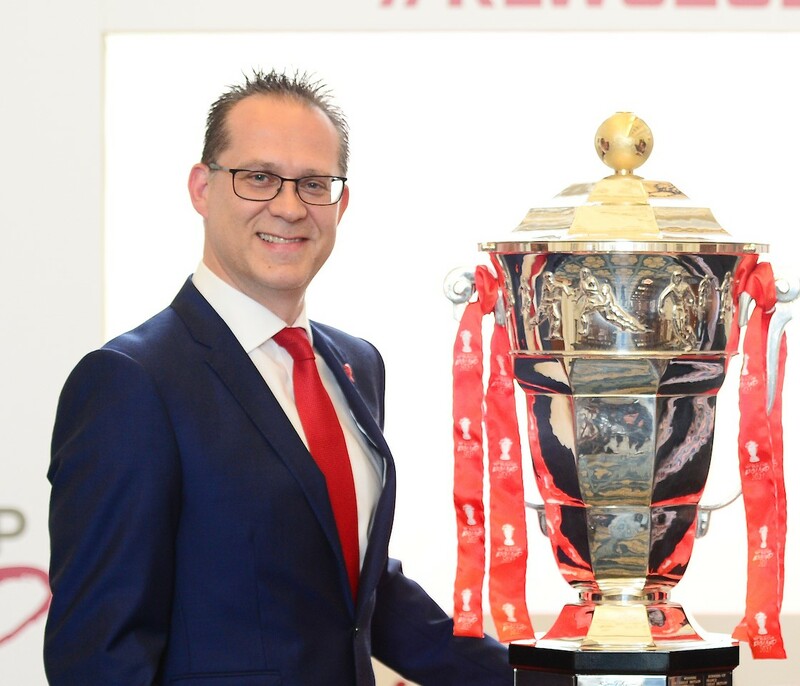 Venues across the length and breadth of England will host the biggest ever Rugby League World Cup in 2021 after submitting their initial applications to become a host at the RLWC2021. A record number of 80 unique applications have been received from 28 towns and cities to become either a match or training venue for the tournament, which will host the men’s, women’s and wheelchair tournaments simultaneously for the first time. Forty venue applications have been submitted across the three competitions for an anticipated twenty opportunities. In addition, 40 team base applications have been received for the 16 team training facilities. While applications have been submitted for venues and facilities nationwide, 80% of the men’s fixtures will be played in the country’s Northern Powerhouse region as part of the tournaments commitment to government. 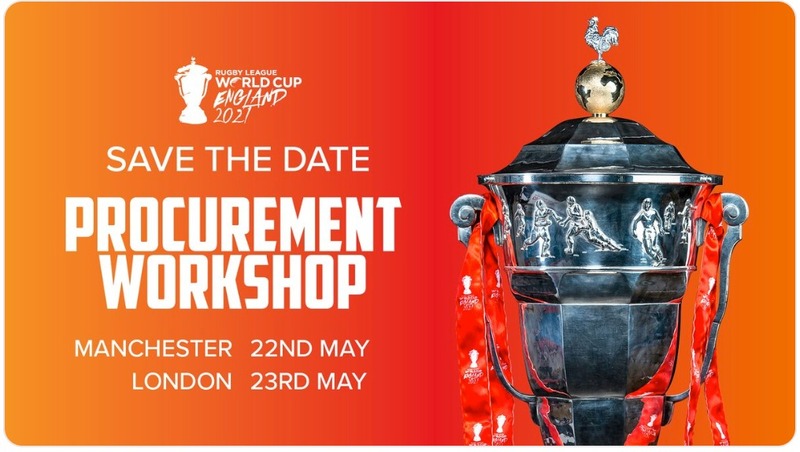 Applications will now be reviewed, with aspirant hosts inspected by tournament organisers, before a final decision is made by the RLWC2021 board ahead of being announced in January 2019. Huge thanks to Jon Dutton for taking the time to do this interview with us. Jon Dutton is one of 60+ high calibre industry expert speakers that will be sharing their invaluable insights and experiences at Europe’s first premium seat event, ALSD International, coming to London this October, 10-12, where he will be taking part in a Pro Sports Super Panel, alongside Tyler Mazereeuw, CRO at the Canadian Football League, with moderator, Bernie Mullen, Chairman & CEO at The Aspire Group. Jon will also be giving the Closing Keynote.